We all struggle with baby fat, or weight gained while pregnant! 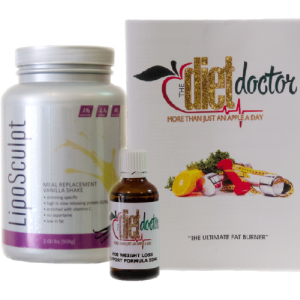 How to lose baby fat is an eternal problem but it can be quickly accomplished using the fast acting HCG Diet, right here in Gauteng! I still remember the day when I said to my partner “are you ready for my body to change?” it is at that moment I realized that this bundle of joy is also going to present me with one of my biggest challenges yet! After welcoming home the newest edition of your family, it really is a special time but it can be brutal. Between nappies, crying, chaos in the house and NO sleep there sure as hell isn’t time to exercise. Now with all this going on how is one supposed to still look and feel good? This left me with a choice, either the baby hippo is here to stay or today is the day I decided I would discover the best way to lose baby fat! So the battle was real but I was determined to get my body back and get rid of this baby fat for good. Some lucky women can drop all their baby fat, and then some, through breastfeeding alone. Not me I had a hungry baby that decided breast was simply not enough. One little gem I found was to take regular naps, Take a nap anytime the baby does, housework be damned. That way, you won’t end up with a long-term sleep deficit, and you’ll keep your energy levels and your potentially naughty cravings in check. During my research I did come across the HCG Diet System South Africa and saw how much weight people were losing and decided that could be me. It helped me to lose baby fast and it can certainly help you! Stay strong and take it one day at a time, if I can lose my baby fat trust me you can too!